The Green House Hotel seeks to offer the travellers and guests a comfortable and economical accommodation, right in the center of Aguascalientes. Thus, the they will be able to to enjoy all the magnificent events and attractions offered by our beautiful Aguascalientes also known as the city of the good people. Furthermore, we capitalize our experience in the sector and in the town in order to offer the very best of our facilities to our travellers and guests. Our location is privileged. We are right in the center of Aguascalientes, near to some of the most relevant landmarks of the area such as Templo de San Marcos, Teatro Morelos, Plaza de la Patria and Congreso del Estado de Aguascalientes, among other interesting spots of the city. We offer diverse types of accommodation options oriented to different sort of guests and travellers. For those venturesome travellers, we have mixed dorm for four or five people, meanwhile for those who are seeking more tranquility and quietness, we have private accommodation for two and three people that will suit magnificently their needs and wishes. The Breakfast is continental. If someone wants an extra ration of the breakfast the price will be 20.00 MXN. 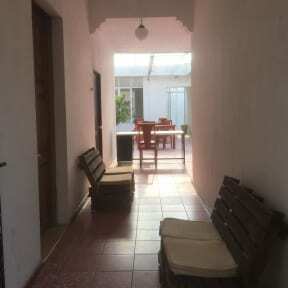 Green House Hostal is a great hostel in the heart of Aguascalientes, a short walk from the sights, bars and restaurants. Staff are friendly and helpful, and the other guests were friendly and social as well. Note that they don't indicate that they have lockers for your valuables in the list of facilities offered, but in fact they do, which was a big relief for me. The only gripe is that prices were high during the Feria San Marcos, even though the hostel wasn't full the days I was there. Great safe location and accommodating staff! Felt very at home! A nice little hostel just a 5 minute walk from the main plaza and cathedral. Unusually, dorms are all single twin-size beds without a top bunk. Wifi works fine some of the time but other times is spotty. Plugs are in short supply. Kitchen is usable and includes a modest coffee/toast/fruit breakfast. 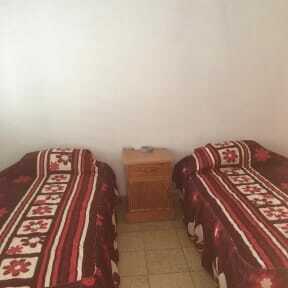 Overall a solid, simple hostel at a good price. Hello, We arrived at the location and no one was there we rented a hotel nearby, Can i please get a refund for this? Thanks!